Working at the point of care, nurses play a key role in the delivery of safe, quality healthcare. Acute care nurses have to make timely and relevant clinical decisions, yet work within environmental conditions that are conducive to error. A recent study showed that nurses on average were interrupted 3 to 6 times every hour by people, pagers, telephone, etc (Potter et al., 2005). The potential impact of interruptions and distractions includes medical and medication errors, ineffective delivery of care, conflict and stress among health professionals, latent failures, and poor outcomes. Since the 1940s, the military and civilian aviation industries have studied how attention lapses caused by interruptions can lead to pilot error (Fitts & Jones, 1947). Operator interruptions and distractions have been shown to contribute to shut downs in nuclear power plants (Griffon-Fouco & Ghertman, 1984). In the business community research has shown that software engineers require more than 15 minutes to become reengaged in a task once they have been interrupted (DeMarco & Lister, 1987). But in healthcare only limited evidence (Ebright et al., 2003) has been available to help nursing practitioners and others understand the impact of interruptions and distractions on nursing care. Better understanding of how interruptions in a nurse’s work affect clinical decision-making is a critical need, so that effective strategies can be developed to decrease interruptions and the likelihood of error. To help meet this need, a nationwide webcast on November 14, 2008, brought together nationally recognized experts to focus on Distractions and Interruptions: Impact on Nursing.1 Recent studies of the nature of nurses’ cognitive work and how environmental factors create disruptions that pose risks for medical errors were discussed. 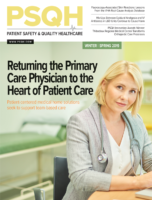 Strategies, innovations, and specific interventions to reduce distractions were discussed as ways to improve patient safety, nursing productivity, and quality of care, especially during medication management processes. This study by Brixey et al. (2005) was conducted at the University of Texas Health Science Center in Houston, a Level I trauma center. Funding was provided through a fellowship from the Keck Center for Computation and Structural Biology and a grant from the National Library of Medicine. At that time, there was limited evidence on how interruptions affected delivery of nursing care in the workplace. The recipient of an interruption had been studied more often than the initiator because of the negative effects of the interruption. This study investigated both initiators and recipients of nursing interruptions. An initiator could be a person, a medical device that generates an alarm or an alert, or anything that vies for a nurse’s attention. A recipient is a person who receives that interruption. An interruption was defined as a break in performance that occurs in response to a source that is external or internal to the person, e.g., daydreaming, suspension of the initial task, performance of another task, and resumption of the primary task. Interruptions differ from multi-tasking. The study focused on the interruption itself and not on just the specific location where it occurred. Data collection was based on direct observation of participants as they went about their usual duties. Methods drew on ethnographic principals for observation in a naturalistic setting. Observation was non-participatory in that the observer was not involved in any way in the delivery of care. Informed consent was obtained before beginning the study, and subjects knew the observers were coming. Consent was obtained from the charge nurse each time data were collected. Data analysis was done using grounded theory techniques. Study subjects included 6 female and 2 male registered nurses (RNs), which was representative of staffing patterns in the emergency department. Observations totaled more than 40 hours during the 7 a.m. to 3 p.m. and the 3 to 11 p.m. shifts. Study findings showed that the RNs were interrupted almost 12 times per hour, approximately one interruption every 5 minutes. The period from about 11 a.m. to 11 p.m. had the most interruptions. In about 52% of interruptions, the RN was the recipient and in about 35%, the initiator. Consistent with the literature, the sources of interruptions most often were persons (82), pagers (41), and the telephone (12). In 65% of the interruptions, the nurse returned to the interrupted activity; in 15% the nurse did not, and in 20% there was not enough detail to specific. In some types of interruptions, the task may be repeated in total. In some cases, repeating a task would not present a real problem (e.g., re-reading a chart), but re-administering a medication would be an error. In other types of errors, some or part of the steps in a task are repeated, some or all of the steps are left out, or a person may engage in another task and then remember to come back, re-engage, and complete the first task. Optimal behavior, if interrupted, is to re-engage at the proper step in the task performance. Registered nurses are frequently interrupted. Failure to consider why interruptions are initiated will lead to the formulation of ineffective strategies to manage interruptions. The introduction and use of technology in the clinical setting to manage interruptions must be critically evaluated so that RNs are not interrupted more frequently. Juliana Brixey is an assistant professor at the University of Kansas School of Nursing in Kansas City, Kansas. The cognitive work of recognizing and defining patient problems and selecting interventions is a critical competency that separates professional nurses from technical personnel. Potter et al. (2005) used a combination of human factors engineering (HFE) techniques and qualitative observation of nurses in practice to analyze the nature of nurses’ cognitive work and how environmental factors create disruptions that pose risks for medical errors. The study was conducted at Missouri’s Barnes-Jewish Hospital at Washington University School of Medicine in St. Louis, with funding provided by the Agency for Healthcare Research and Quality (AHRQ). Seven RNs with a wide range of clinical experience were observed for 4 to 9 hours each for a total of 47 hours. HFE techniques were used to track activities, movement, interruptions, and time. An RN recorded observations of activities in the context of the nursing process over time. A panel of experts helped interpret the qualitative data and identify common themes in practice. A cognitive shift was defined as a shift in focus from one patient to another. An unplanned cognitive shift is a potential factor for distracting a nurse’s attention away from an important aspect of patient care. Cognitive stacking, a term originally researched by Dr. Patricia Ebright (Brixey et al., 2005), in this study referred to the accumulation of tasks and priorities a nurse needs to perform at any given time for a group of patients during a shift of care. Omission in care referred to a planned activity identified by the RN that was not completed, e.g., a nurse did not go back and conduct an evaluation. Patient contact accounted for 25% of nursing care activities and medication preparation and administration for 16% (Table 1). Yet 47% of interruptions occurred during nursing interventions and 22% during medication preparation in the medication rooms. Types of interruptions included staff inquiries, having to search for missing drugs or supplies and responding to phone calls or pagers. The most interruptions were experienced by senior nurses, who serve as a resource for the other nurses on a floor and are asked questions frequently. Interestingly, RNs did not seek to control interruptions; rather, they accepted them as part of their work. Searching = time spent looking for equipment and materials. An RN averaged 9 cognitive shifts per hour, which meant that an RN had to refocus attention from one patient to another about once every 6 to 7 minutes, requiring intense concentration. The time-weighted average for cognitive stacking load was 11 activities, with a maximum load of 16. A link analysis graphically charted the connection when a nurse moved from one location to another in performing two elements of a task, such as preparing a medication in one location and then delivering it to a patient in another. This showed that on average an RN walked from one location to another 13 different times every hour. Many links merged at the medication room, which was a center of activity on this nursing unit. One important finding was to challenge HFE analyses that have shown that RNs do not spend sufficient time at the bedside. This study showed that nurses spend more time cognitively involved with patients than a task analysis would suggest. The seven RNs averaged 31 minutes in each patient’s room but were cognitively focused on each patient an average of 46 minutes. This suggests that HFE alone does not capture the cognitive intent of nurses’ work and underestimates the time spent in patient care activity. A total of 36 interruptions (24%) occurred just before a cognitive shift. However, no errors were observed. A total of 21 omissions were observed for seven nurses. No association could be made between cognitive shift and observed omission in care. Nurses reported that study observations were made during a comparatively non-chaotic days when they had not been working extremely busy shifts. Investigators felt that if the nurses had been observed during a more intensely busy shift, more errors would have been seen. Also, because of the small numbers of subjects, the findings of this initial study cannot be generalized to larger populations and more research is needed. The study does show that HFE and qualitative analysis can be combined effectively to help increase understanding of nursing work within an acute care setting. Patricia Potter is a research scientist at Siteman Cancer Center, Barnes-Jewish Hospital at Washington University Medical Center in St. Louis, Missouri. Nursing is very different today than it was 15 or 20 years ago. Patients are more complex and more acutely ill. Nurses are being asked to do more, yet often there are fewer resources and very limited budgets to support their work. They not only manage patient care but also are charged with improving quality, maintaining safety, developing policy, coordinating education, and training, controlling cost and — most importantly — communicating. Today’s healthcare environment is characterized by chaotic conditions and an overwhelming sense of change fatigue resulting from the constant barrage of new initiatives being introduced. The challenge is to reduce or eliminate distractions and interruptions that unnecessarily add to the complexity of nursing work and ultimately place patients at greater risk for harm or injury. A number of strategies and benchmark innovations have emerged to help nurses achieve this goal. Saying “No.” Before taking on additional work, nurses need to take something off of the list, in order to avoid having too many competing priorities. Ideally, no one should be doing more than three initiatives at any one time. Nurses need to recognize when it is appropriate and even acceptable to say no, rather than getting caught up in the flawed belief that being a good nurse means having to say yes to everything — especially non-nursing work such as routinely cleaning patient rooms and emptying trash. In The Power of a Positive No, William Ury teaches us how to transform no into a positive word (Ury, 2007). He suggests that a creative way to say no is to first recognize and articulate what is important. Ury encourages us always to start with yes, followed by the difficult but nonetheless important “no,” and then to end the conversation with yes. For nurses, patient safety becomes the “yes” in that positive “no.” To say no to interruptions and to distractions is to recognize that they put patient safety at risk. Saying no while still getting to yes can help transform nurses’ work and also safeguard the public’s trust in the nursing profession. Don’t “own the world.” Nurses should recognize that they do not have to do and be everything in order to be recognized as responsible, accountable and competent nurses. Nurses are often so willing to own non-nursing work that it frequently pulls them away from their most essential role in healthcare delivery — providing vigilant, expert nursing care at the bedside. If nurses spend their time primarily consumed by doing the work of others, then who will be there to ensure patient safety and quality care for patients? Distinguish between the “vital few” versus the “valuable many.” There will always be far too many things on a nurse’s to-do list. The challenge is to identify those that are absolutely vital and must be accomplished, in order to honor and respect nursing’s core values of patients and families, safety, and quality and reliability. Benchmark innovations such as those listed in Table 2 can help nurses reduce or eliminate errors that have negative consequences on patient safety. The AHRQ Health Care Innovations Exchange (Clutter, 2009) is a comprehensive program designed to accelerate the development and adoption of innovations in healthcare delivery. Because nurses are at the frontline or sharp end of care, their unique perspective is essential in making the healthcare delivery system safer for patients. AHRQ encourages nurses who have innovative ideas targeted at improving patient safety to participate in the AHRQ Health Care Innovations Exchange (Clutter, 2009). In fact, any nurse who has a benchmark innovation that can be applied in other healthcare organizations can participate in this program and partner with AHRQ to see if the work being done can be elevated to a national arena. Mistake-proofing. This straightforward approach uses process or design features to make committing errors difficult or altogether impossible. The influence of human factors related to errors cannot be discounted. People who make errors are not necessarily unmotivated or negligent. They cannot eliminate the errors simply by telling themselves to do better and then cognitively deciding not to commit an error. Mistake-proof systems are needed to ensure they do the right thing and to make it more difficult to do the wrong thing. An example of mistake-proofing in healthcare is the Broselow™ Pediatric Emergency Tape.2 Healthcare providers measure a child with the tape, and the color on the tape indicates which supply packet to use to treat the child. Everything is appropriately dosed and sized and corresponds to the correct color on the tape. “No interruption” zones. These are specially designated areas in which interruptions are not allowed. For example, a red boundary can be created on the floor around a medication dispensing system. This also can be indicated with colored tape, tile, or a small rug that clearly indicates that a nurse is not to be interrupted at all while inside that red box. With no interruptions or distractions occurring during the critical time of medication dispensing, the nurse can concentrate with laser-sharp focus to ensure the correct medications are pulled from the medication dispensing system. “Do Not Disturb” vest. Using visual cues to reduce interruptions, nurses wear vests prominently labeled “Do Not Disturb.” In one institution wearing these vests has decreased interruptions by 64% and reduced the number of medication errors in that organization (Pape, 2003). “Medication Pass Time-Out.” Stanford Hospital in California took the “do not disturb” approach one step further to implement a “Medication Pass Time-Out.” The new process designates a protected hour early in a shift for a nurse to focus exclusively on reconciling medication orders, administering medications, checking medication labels, and charting the administration of medications. Except for emergencies, all other daily intrusions are delayed during that protected hour. That means no telephone calls, no pages, no patient inquiries, and no physician visits. During a 6-month pilot experiment, the test unit significantly reduced the number of interruptions and medication errors subsequently decreased (Taylor, 2007). “First Do No Harm — Initiating a Timeout.” In this initiative at Barnes Jewish Hospital, the chief medical officer (CMO) volunteered to appear on a flyer that is bundled in every sterile surgical kit. Before a surgery, the scrub nurse puts this flyer over the surgical tools to be used, thus blocking the surgeon’s access to the tools until the flyer is removed. Removing the flyer reminds the surgical team to perform their required timeout. This approach elevates the importance of the timeout by using peer pressure and the CMO’s authority to encourage the expected behavior. It has proven to be more effective than simply placing a sign with the words “remember timeout” on the wall (Grout, 2007). “Safe Passage Program.” Clarian Health in Indianapolis, Indiana, implemented this award-winning patient safety program in 2001. This pioneering program combines nursing proficiency and expertise with the latest health care technology to augment the safety of both patient and nurse. Patient needs are matched with nursing expertise to ensure the safest possible environment for patients and staff and, equally important, to protect patients’ rights to safe passage through the healthcare system. The program’s primary purpose is to foster a culture of safety by designating a Safe Passage nurse for every patient care unit. The Safe Passage nurse is dedicated to assisting the interdisciplinary team as they take patients through the healthcare system. The program empowers clinicians to anticipate a variety of scenarios and to prevent errors by working together more cohesively. Clarian Health’s Safe Passage nurses train and supervise staff, evaluate the patient care environment, and make recommendations for safety improvements. Nursing, patient care services, and risk management staff collaborate to make the program a success (Rapala & Kerfoot, 2005). “A Just Culture.” A final benchmark is to promote and foster a just culture where processes define the expected care and healthcare providers know exactly what their role is in delivering that care. Should an actual error occur, healthcare providers working in a just culture unconditionally feel safe in participating in the resulting investigation, because the focus is on looking for systemic solutions rather than on blaming individuals for errors. In a just culture, the first place to look for why errors happen is the system. Why is it possible for such an error to be made? In the end, everyone is accountable for what is done and not done in delivering the appropriate care to patients and families. Dave Hanson is the director of Professional Development & Nursing Excellence at Northwest Community Hospital in Arlington Heights, Illinois, and immediate past president of the Association of Critical-Care Nurses (AACN). Sentara Healthcare is an integrated healthcare system with seven acute-care hospitals located in southeastern Virginia. In early 2006, Medication Use Safety Improvement Committees (MUSIC) were setting their annual goals. One of the initial MUSIC goals was to have clear nursing/pharmacy expectations of service, including turnaround time, measurements, and goals. While working on quality improvements in the medication management processes, the team discovered that there were many interruptions and distractions at the automated dispensing cabinet (ADC). Knowing that in the aviation industry systems are designed to allow a pilot to focus on critical processes 100%, they decided to attempt a similar approach with the critically important process of medication selection. At Sentara Leigh Hospital (SLH) this led to the creation of “Quiet Zones” around the ADCs. The purpose was to decrease interruptions in that area while a nurse was performing the medication selection process. Red tiles were used to mark a boundary around the cabinet, and a “Quiet” sign was posted above the cabinet to prompt others to realize that a nurse in the Quiet Zone was engaged in a critical process. Staff from Sentara Virginia Beach General Hospital visited SLH to learn about their medication management process and nursing practice. Liking what they saw, they implemented Quiet Zones but adapted the SLH approach by putting a rug right in front of every ADC instead of tiles. Because some of the ADCs were in the middle of a procedure area, there were concerns about cleaning the rugs and infection control. These areas frequently had beds rolling in and out; bumps on the floor created by the rugs became also became an issue, so the possibility of using tape was explored. In areas where a medication room had a door and was already quiet, the nurses merely taped a smaller area around the ADC and made it a “zone within a zone.” Cost was also taken into account as the hospitals considered the various alternatives. The staff now reports that there are fewer interruptions/distractions during the medication process. Specific incidents also confirmed the success of this approach. For example, a physician coming to find a nurse called out, “Susan,” then said, “Oops, she’s in that zone,” and came back later after the nurse had left the zone. A nurse coming around the corner to talk to another nurse said, “Oh, she’s in the box. I’ll catch up with her later.” In one instance a new nurse who was trying to talk with someone in the quiet zone, said, “You’re ignoring me,” and the other nurse replied, “I’m in a quiet zone, and so I’m focused on this.” This underscored the need to educate new or resource staff about the use of the zone. To date this approach has been used for nurses selecting patients’ medications. Use by pharmacy technicians filling an ADC, or in the pharmacy, where medications are being picked and dispensed may be another use for the zone. Similar applications could be used for medication administration at the bedside, physician order entry, and bedside barcode scanning. If it is not possible or desirable to create a physical zone, staff can be trained to be aware of others’ behaviors, e.g., “Somebody’s working on a computer, and I see they have the physician order entry program open. I’m going to hold off asking that question. How important is it?” The ultimate goal is to have focused areas of non-interruption, so that people are not distracting each other throughout the day. Rhonda Liberto is a medication safety clinical pharmacist at Sentara Healthcare System in Hampton Roads, Virginia. Findings from these studies emphasize the importance of understanding how distractions and interruptions interfere with nurses’ clinical work, creating the need for innovative safety initiatives. The nursing process is complex and non-linear, with both planned and unplanned cognitive shifts (Potter et al., 2005) During critical nursing work such as medication preparation and administration, RNs are frequently interrupted and thus at risk for committing medication errors. The sources of interruptions most often are persons, pagers, and the telephone (Ebright et al., 2003). Key strategies in reducing or eliminating interruptions, and the risk for error are to distinguish between essential and non-essential tasks and to say “no” to anything that unnecessarily pulls a nurse away from performing their most essential role of caring for patients. Implementing benchmark innovations such as those listed in Table 2 (page27) and available through AHRQ (Grout, 2007) can help prevent interruptions and safeguard patients during their hospital stay. Further research is needed to learn how cognitive shifts, cognitive stacking, and interruptions interact to influence nurses’ clinical decision-making and the occurrence of errors. Do unplanned cognitive shifts increase the risk of error? Is there an association between errors and number of cognitive shifts? Should interruptions be eliminated? Are there “good” and “bad” interruptions? What strategies should be used to reduce or block interruptions? What technologies will be useful to decrease interruptions? Meantime, the introduction of any new process or improvement to current processes should include consideration of the potential impact on nurses’ clinical decision-making. Rather than focusing only on streamlining medication use processes, improvement efforts should also focus on interruptions within the working environment and how they affect a nurse’s concentration and ability to prepare and administer medications correctly. Training and education should focus on increasing awareness of the need to reduce distractions by respecting the need for uninterrupted focus and concentration in performing the cognitive work of nursing. Brixey J. J., Robinson D . J., Tang Z., et al. (2005). Interruptions in workflow for RNs in a level one trauma center. AMIA Annual Symposium Proceedings, 86-90. Clutter, P. C. (2009). AHRQ Healthcare Exchange: Promoting adoption of innovations. Critical Care Nursing Quarterly 32(1), 62-68. DeMarco T. & Lister T. (1987). Peopleware. New York: Dorset House Publishing, Inc.
Ebright P. R., Patterson E. S., Chalko B. A., et al. (2003). Understanding the complexity of registered nurse work in acute care settings. Journal of Nursing Administration, 33(12), 630-8. Fitts P. M. & Jones R. E. (1947). Analysis of factors contributing to 460 ‘pilot error’ experiences in operating aircraft controls. Memorandum Report TSEAA-694-12, Aero Medical Laboratory, Air Material Command, Ohio: Wright-Patterson Air Force Base. In N. Moray [Ed.] (2005). Ergonomics: Major writings, Vol. I (pp. 383–412). New York: Routledge. Griffon-Fouco, M. & Ghertman, F. (1984). Operational safety of nuclear power plants. Vienna: International Atomic Energy Agency. 57-72. Grout, J. (2007). Mistake-proofing the design of health care processes. (Prepared under an IPA with Berry College). AHRQ Publication No. 07-0020. Rockville, MD: Agency for Healthcare Research and Quality. Pape, T. M. (2003). Applying airline safety practices to medication administration. Medsurg Nursing 12(2), 77-93. Potter, P., Wolf, L., Boxerman, S., et al. (2005). Understanding the cognitive work of nursing in the acute care environment. Journal of Nursing Administration, 35(7-8), 327-335. Rapala, K. & Kerfoot, K. M. (2005, July/August). From metaphor to model: The Clarian Safe Passage program. Nursing Economics, 23(4), 201-203. Taylor, S. (2007). Medication pass time out. Stanford Nurse, 27(2), 5-8. Ury, W. (2007). The power of a positive no. New York: Bantam Dell.